27 Days until we hit Les Arcs for the “Foam Tour 2017” and I managed to bugger my knee during last night’s TFIT. And the most annoying thing about doing that? I did it just dismounting from the bike onto some uneven ground – no failed “6 foot gap jump” for me – oh no, I just have to get of my bloody bike! The net result of this awesome skill? 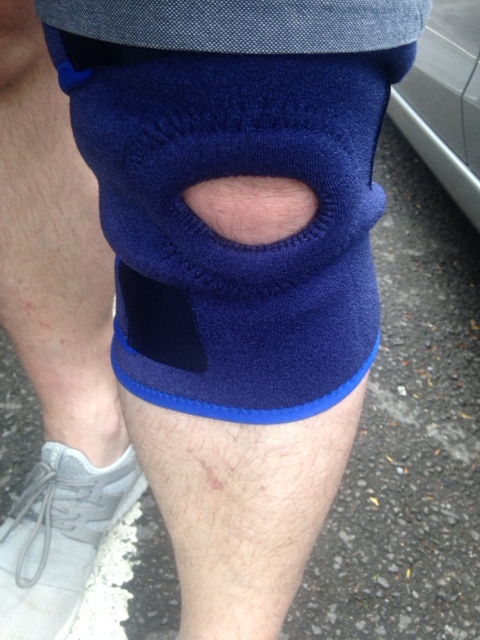 I’ve hyperextended my knee. Right. Yeah, that’s gonna happen – not. Anyway, knee related shenanigans aside (and not forgetting a massive thanks for all TFIT attendees who put up with my moaning last night!) 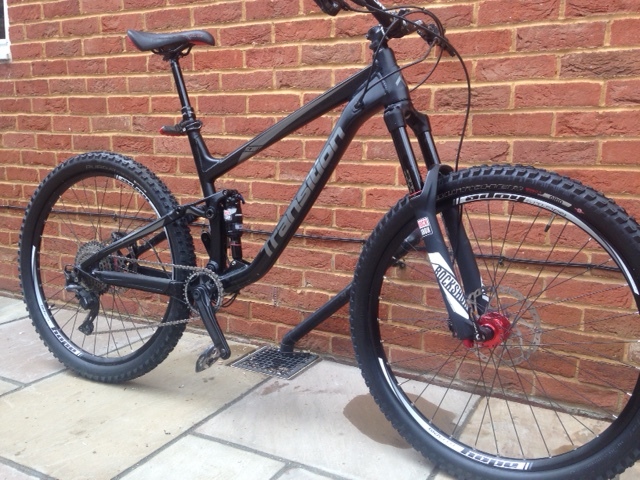 I’ve consoled myself with a bit of retail therapy today and some minor pre-Alps preparation for my Transition Scout today and I have to say, she’s looking ready and raring to go. The “enhancements” are fairly minor if I’m honest – I’ve fitted a Specialized Butcher Grid and Purgatory Grid front and back respectively and they are looking good. 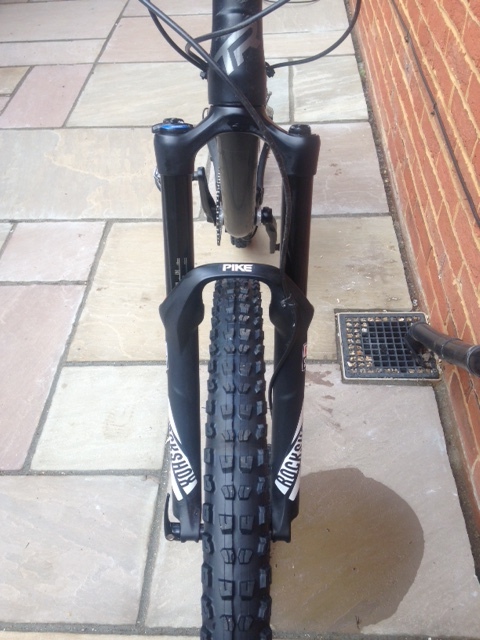 I do like Spesh tyres and the grids did sterling service last year in Morzine. 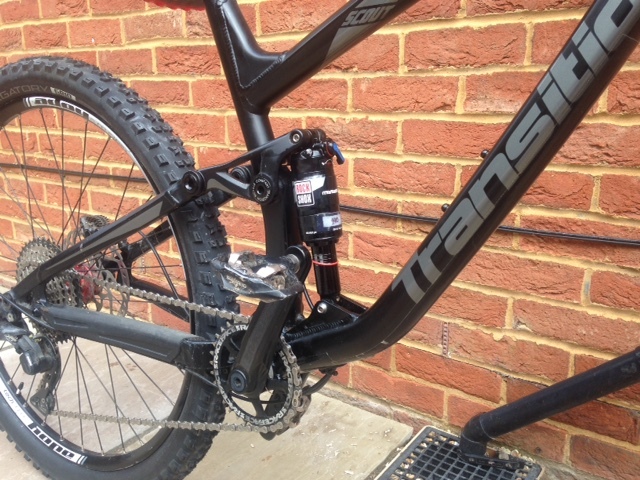 So aside from new brake pads (which I’ll fit a week or so before we go) I’m basically done on the bike front – benefits of having a new bike I guess! I also took the opportunity to replace a slightly faulty tubeless valve and replenish my tubeless goo (technical term). 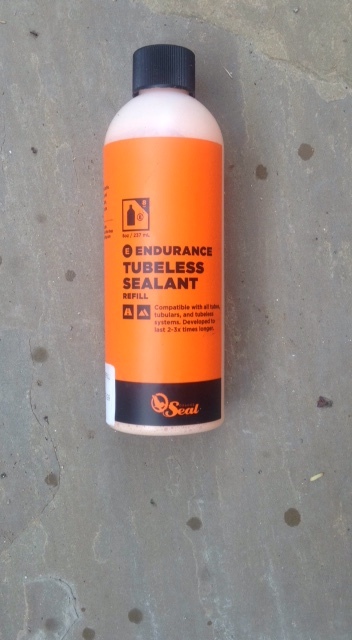 Although in a slight departure from my normal choice of Stans, I’ve gone for Seal “Endurance Tubeless Sealant” and I have to say I rather impressed. I’ve also invested in a very overdue new pair of riding shoes. 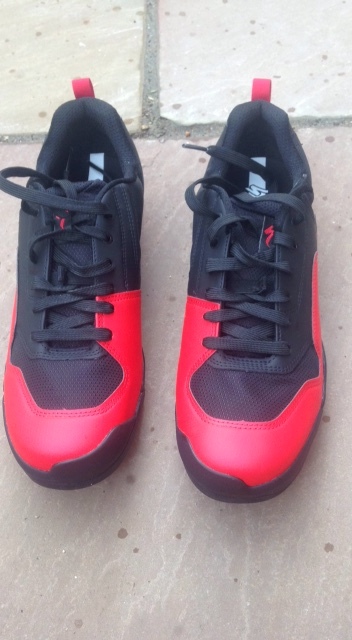 I’ve gone for Specialized 2FO which despite their quite narrow looking design are extremely comfy for someone with freakishly wide feet like me. I’ve not taken them out for a ride yet but they are very stiff, supportive and have well placed toe protection. And they have red bits on them. Red bits are important. 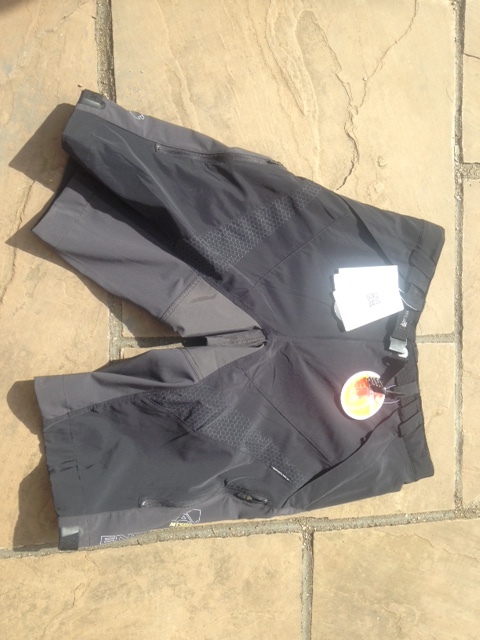 The last bit of retail therapy was a new pair of riding shorts – Endura MT500s which are great, roomy and comfortable and not bazillions of pounds either. Certainly not when compared the £90 Fox shorts I “briefly” picked up earlier. So there, I’m done (with the exception of some new knee/elbow pads maybe), the Scout is ready and I cannot get through the next 27 days quickly enough!